Get into the holiday spirit with a relaxed and casual number. 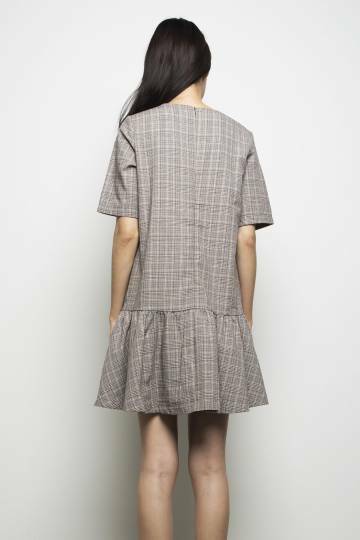 Unique with dropwaist and plaids. Made of cotton polyester blend. Fully Lined. Concealed Back Zip Closure.